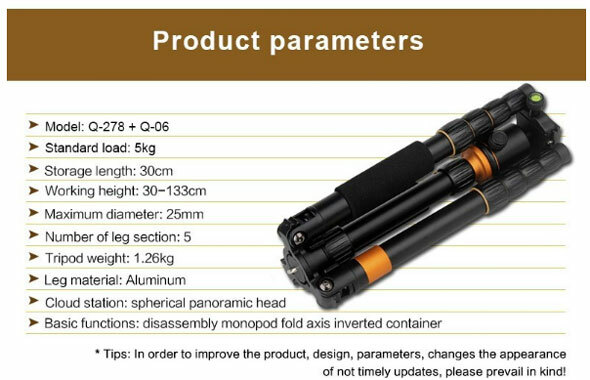 Material: aluminum alloy with high density. 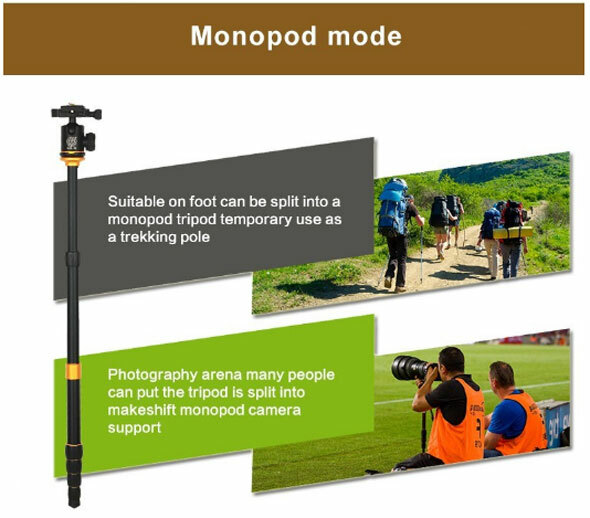 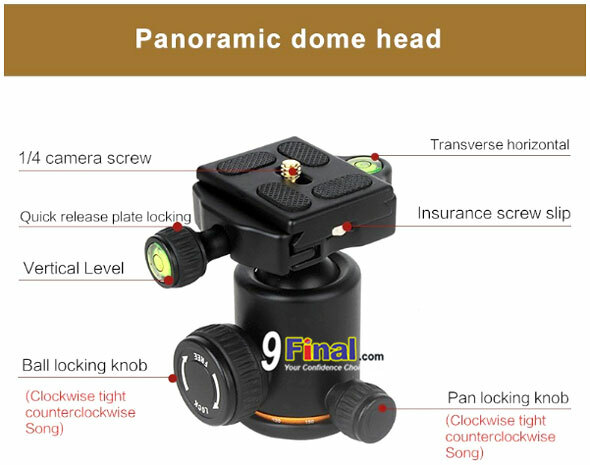 Damping ball head with dual level and panorama shooting function. 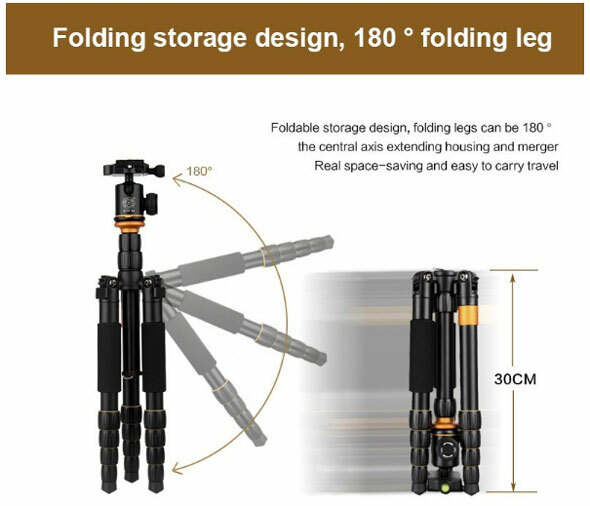 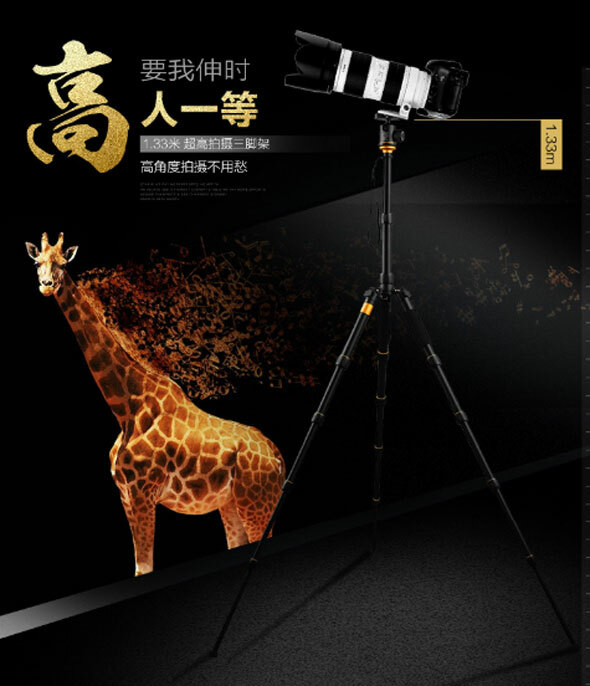 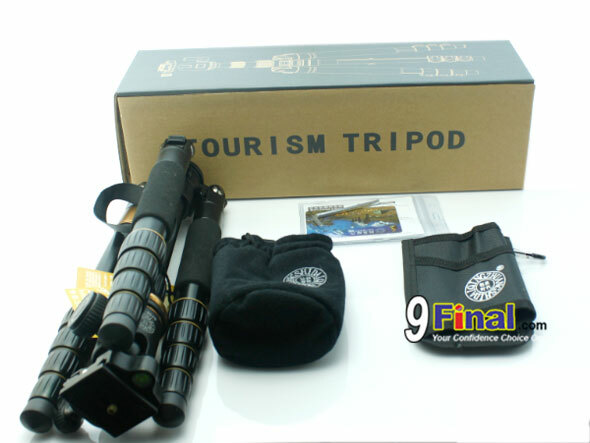 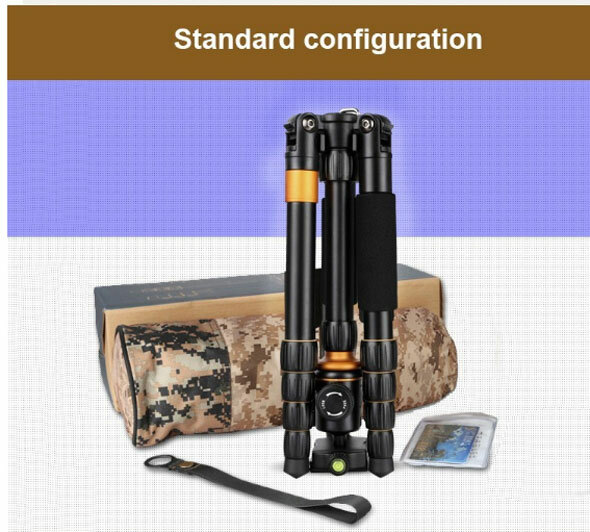 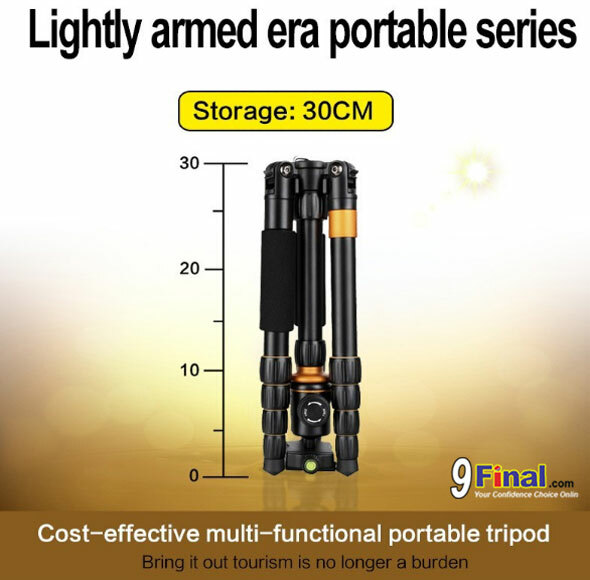 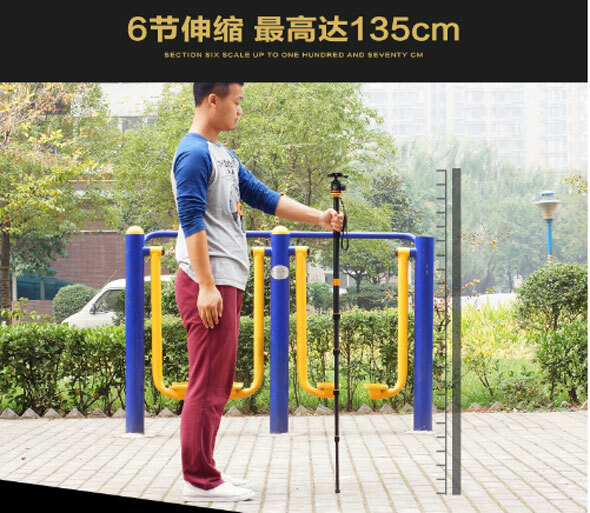 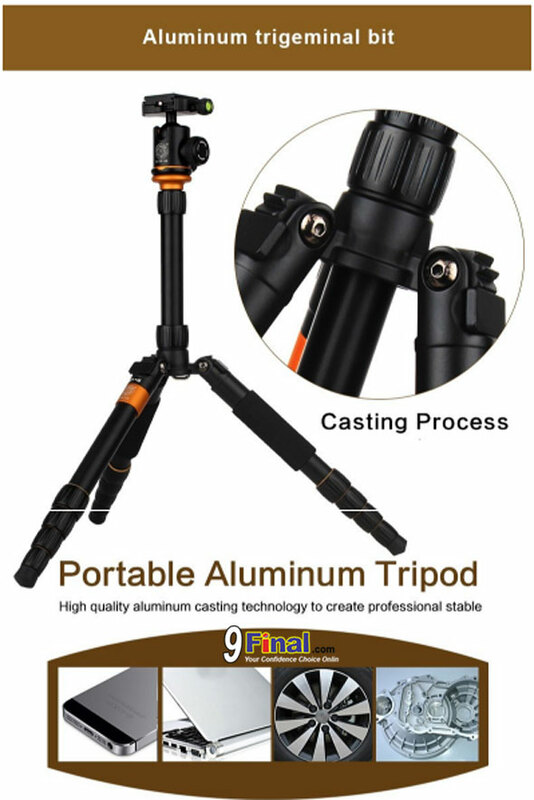 Center column with hook for goods enhance the stability of tripod. 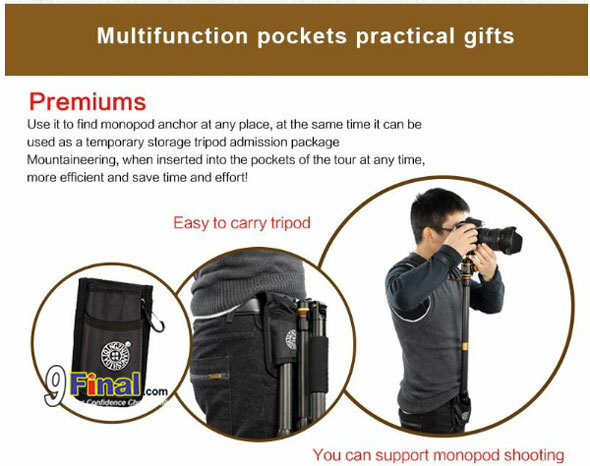 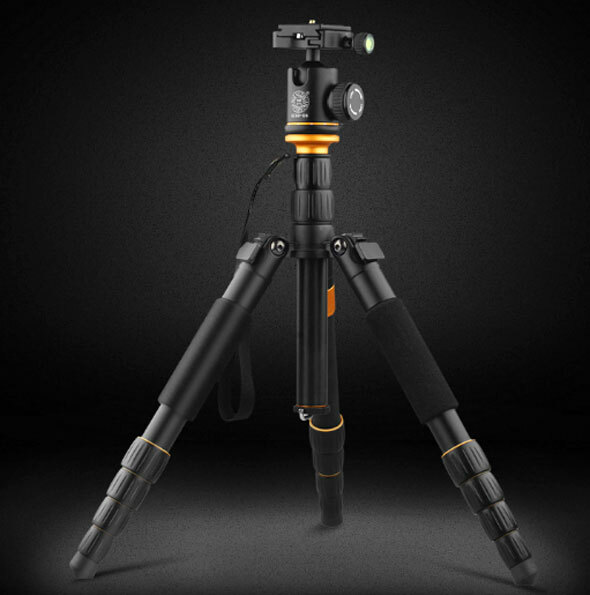 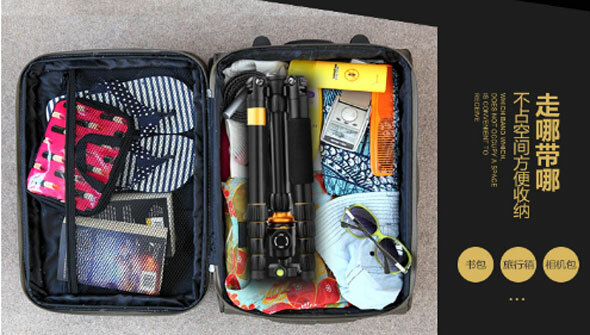 Sponge protect the tripod from cold and slip. 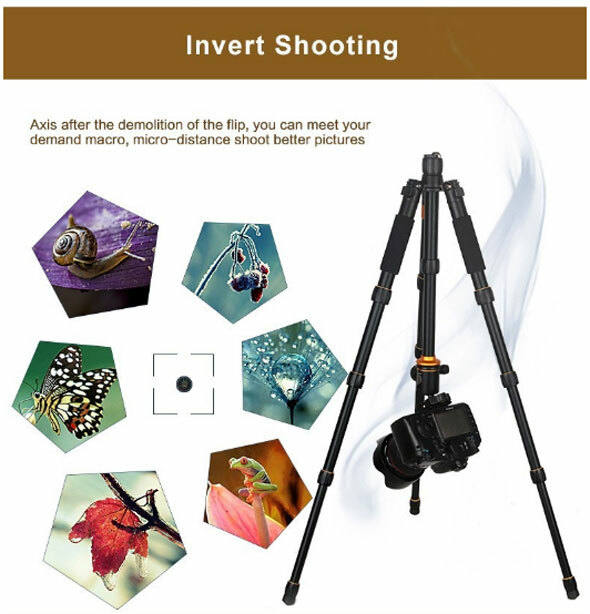 Axis inverted let micro-distance shooting become possible. 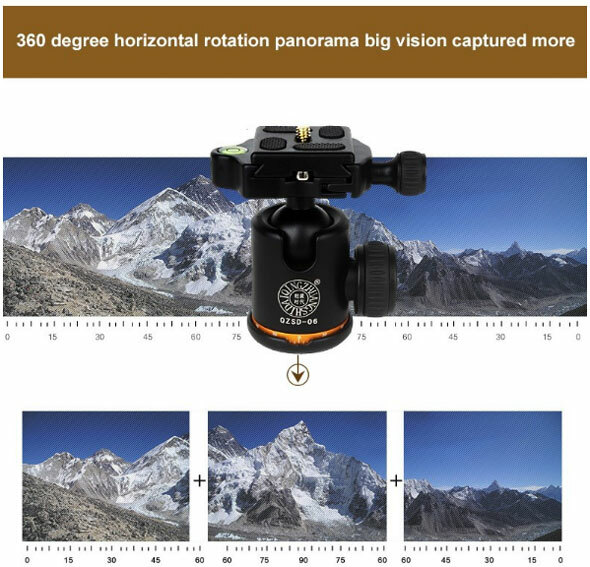 4 piece of rubber non-slip mat increase the corrosion between the camera and head. 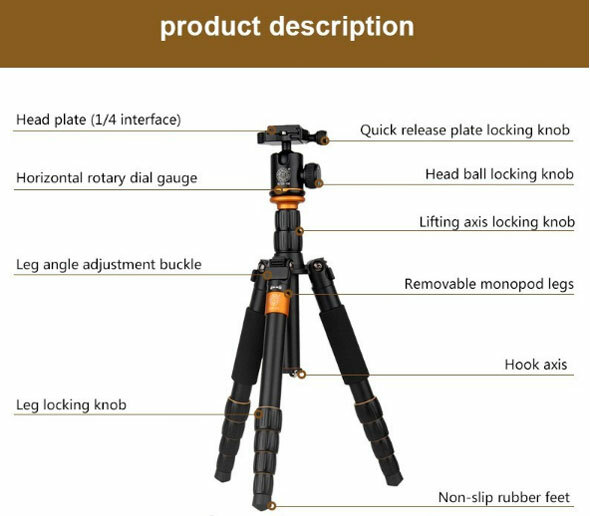 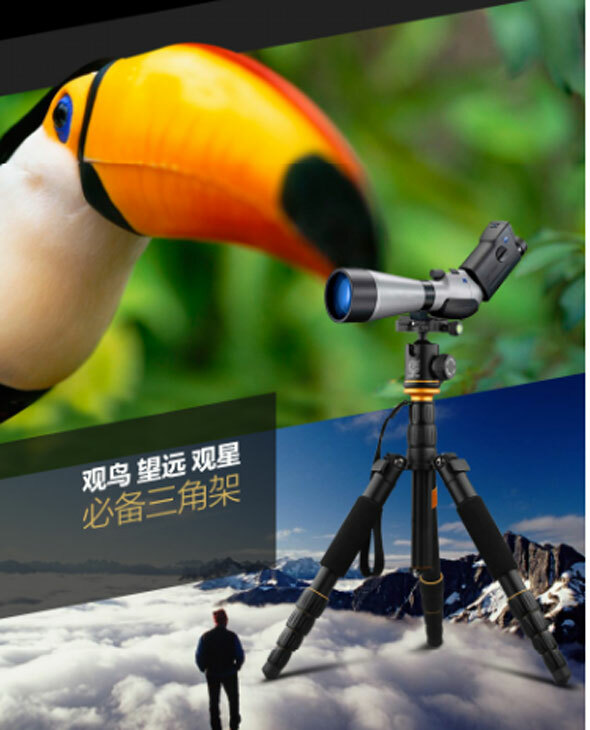 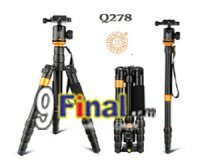 Head with 1/4 screw interface adapt to all type camera like SLR camera, hand-held camera,digital camera. 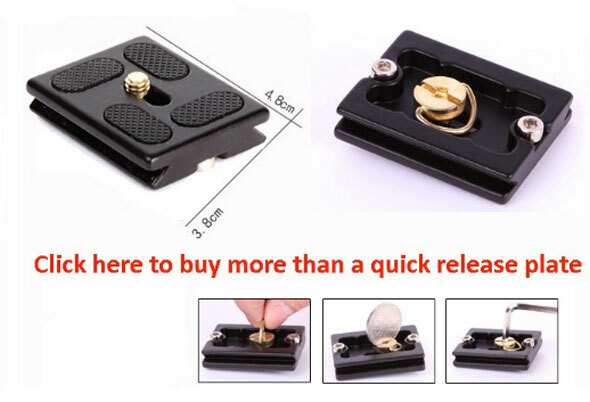 3 lock on the head-quick release locking knob, ball locking knob, and base locking knob. 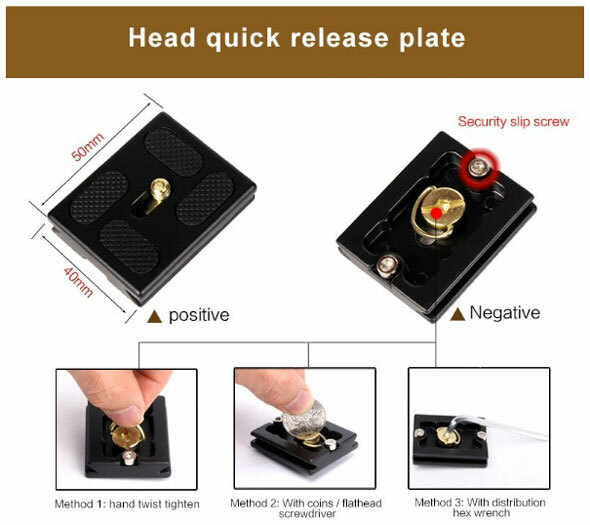 Rubber non-slip mat increase the stability by enhance the corrosion. 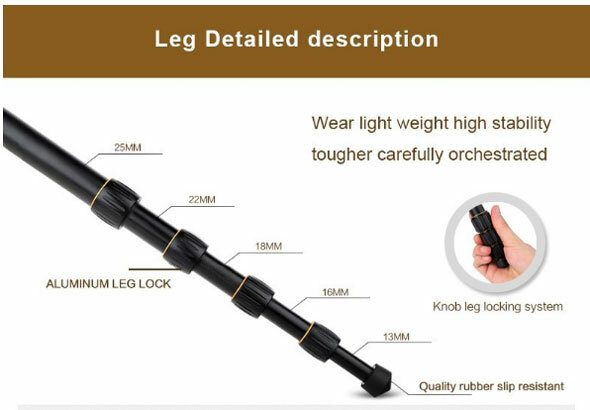 Leg Locking knob system and dust ring on the leg.